In early 2004, the International Crisis Group published a detailed report on Cham Issue and considered the genocide against the population of Cham, not as an escape of this population by desire, as claimed the Greek MEPs. MEPs Panela, Dypyi, Turkish, Kapato, Del'Alba and Della Vedova point out that in June 1944, 44 thousand Albanians of Muslim faith, were forced from their lands in the genocide, on charges that they had cooperated with the Italian and German occupiers. On this count, the MEPs are referred to the report of the International Crisis Group, which excluded categorically Greek claims against the Cham. They identified with official documents the genocide by the Greeks on Cham people. Therefore, six MEPs had a clear idea as stated in the European Parliament that the deportation of the population of Cham marks the outcome of the genocide of the population, were the Greeks confiscated all the property of Chams, including the lands of houses, agricultural lands, livestock, etc. Even the Orthodox Cham population who remained does not enjoy its rights recognized in the Member States of the European Union, in particular the rights of ethnic and linguistic minorities, such as the right to learn Albanian in Albanian schools, which are prohibited by the Greek state - is written in this memorandum. MEPs memorandum cited above comes some days after the pronouncement of a Catalan MEP, Mayol Ribeiro, who raised the issue of the denial by the Greek state of national minorities in Greece. At the same time in a report to be published in March by the International Crisis Group, is noted that the policy of expulsion of Cham Greece has started to be implemented in the '20s of the last century, so ears before the World War II. In the report is stated that the first eviction of Chams from their homes is done during the exchange of populations between Greece and Turkey of Ataturk in the 1920s. Bosphorus Greeks then settled in northwestern Greece on Cham Muslim lands, which the Greek government expelled to Turkey. 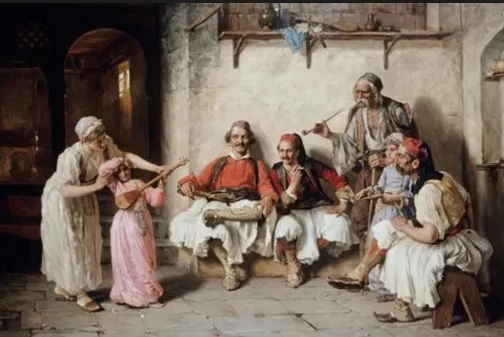 But unlike the European parliamentarians, the International Crisis Group notes that: as the early Albanians in Greece, known as Arvanitas, as well as Orthodox Chams are already almost assimilated into Greek society.